Directions: The best way to visit Rainbow Bridge National Monument is by boat. 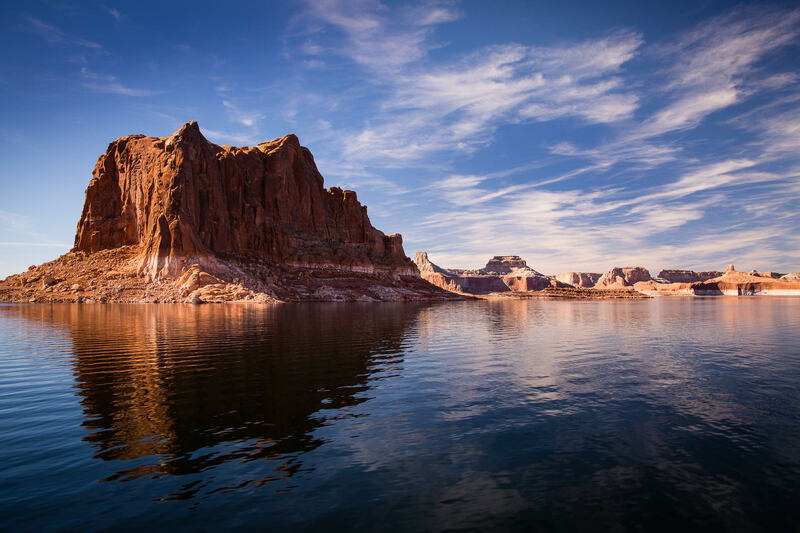 Boat rentals are available, but the least expensive option is to buy a ticket for the boat tour that leaves from Wahweap Marina at Lake Powell Resort near Page, Arizona. The tour takes about 6 hours and is currently $125 per person. Lake Powell is a popular vacation spot that straddles the Arizona/Utah border. Although Rainbow Bridge can be reached via two 16-18 mile hiking trails (which require back-country permits from the Navajo Nation), most people take a boat tour to the bridge. Since most of the tour is in the middle of the day, bring a circular polarizer for your standard zoom lens. The best light will be in the morning, so take lots of photos of the lake and the surrounding rock formations at the beginning of your tour. Once you arrive at Rainbow Bridge National Monument, there is a short hike to the natural bridge. 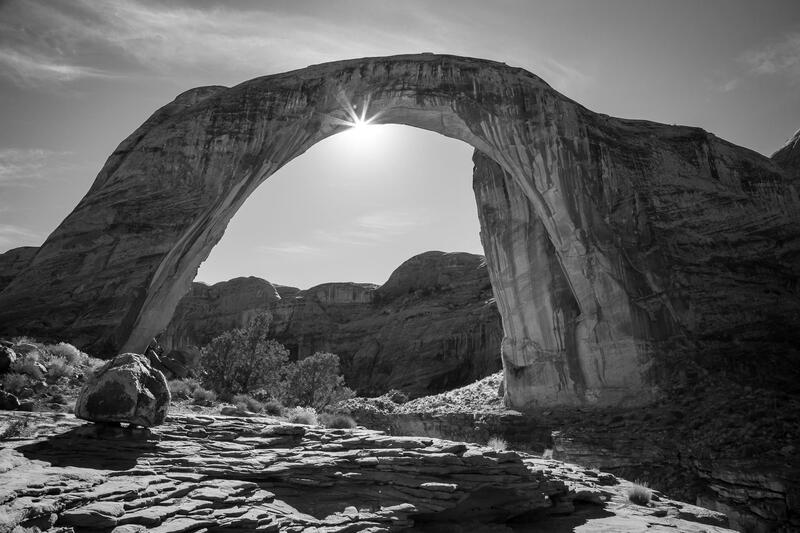 Use a small aperture, like f/16, to enhance the sun rays and position yourself so that the sun is partially behind the natural bridge to lessen the intensity of the sun’s brightness.